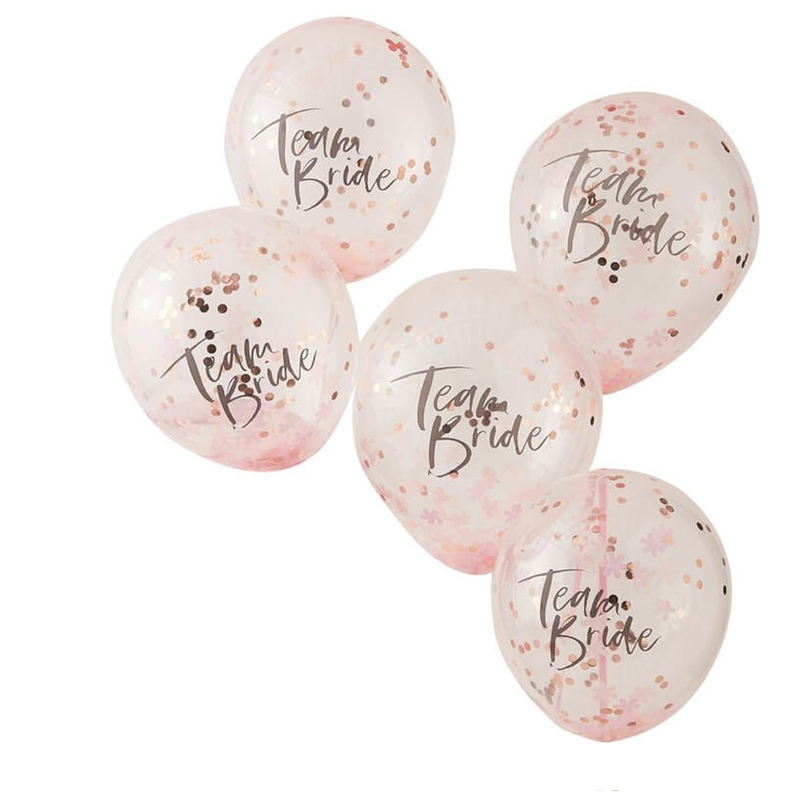 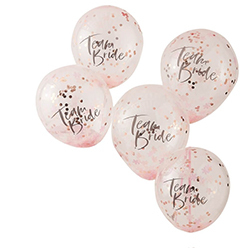 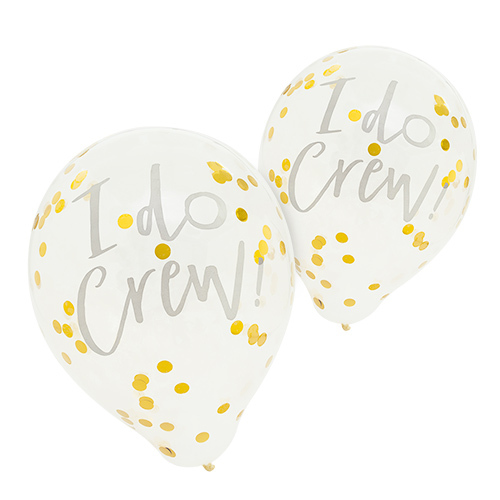 If you are looking for something a little bit special to decorate your venue then these rose gold Team Bride confetti balloons will definitely fit the bill. 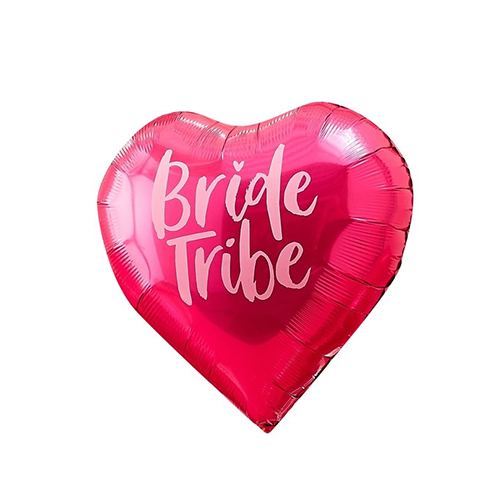 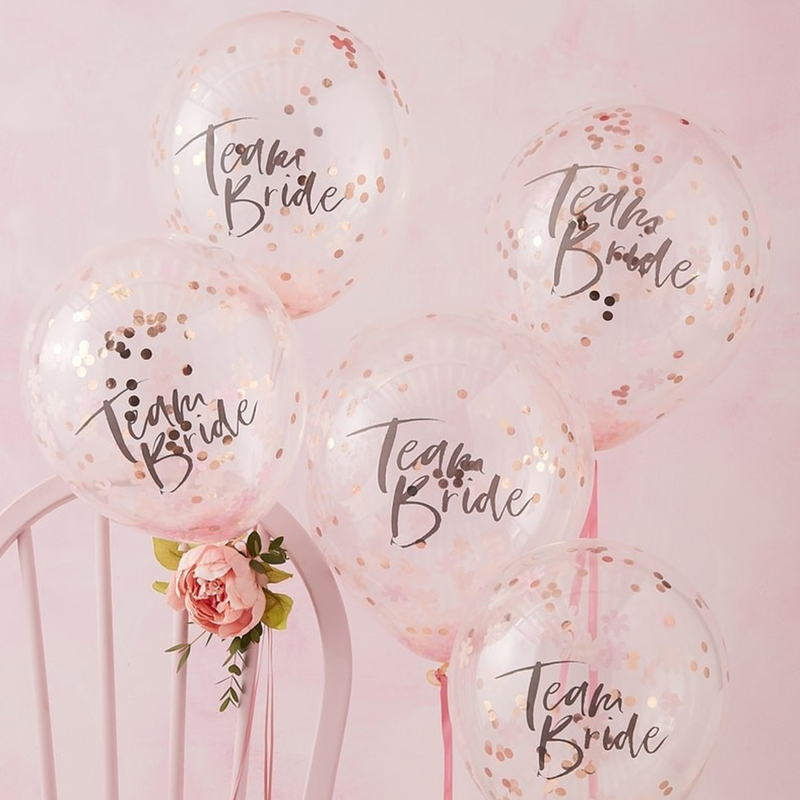 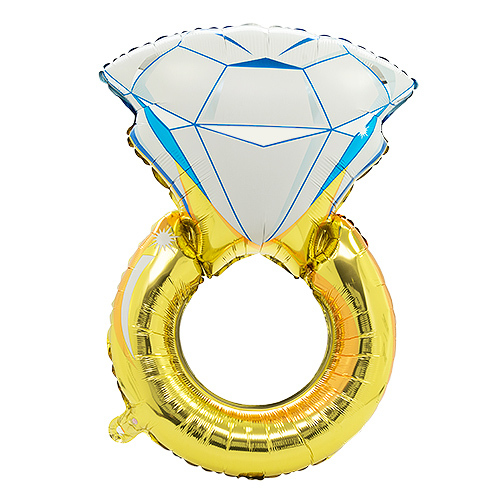 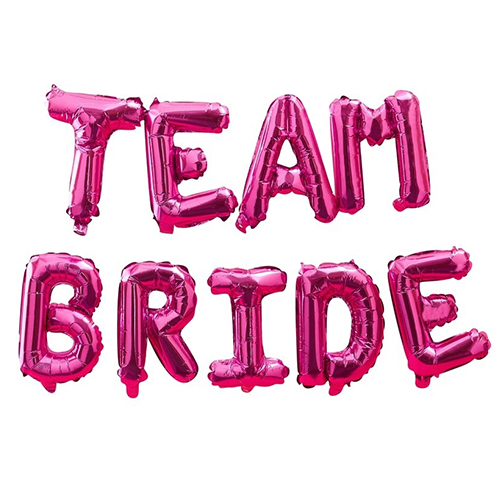 These balloons offer a classy alternative to some of the brighter options which we have available and fit perfectly into the Floral Team Bride range. 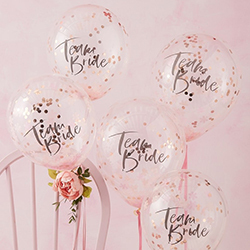 The balloons come in a pack of five and are twelve inches once inflated, they can be filled with either helium or air depending on the desired look. The Team Bride text is written in rose gold and the confetti inside is a mixture of pink and rose gold.